Embellished cross design on back pockets with crystals and white leather detailing. Detailed stitching. 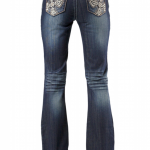 Crystals on front pockets and Rose Royce signature detailed crystal hem. 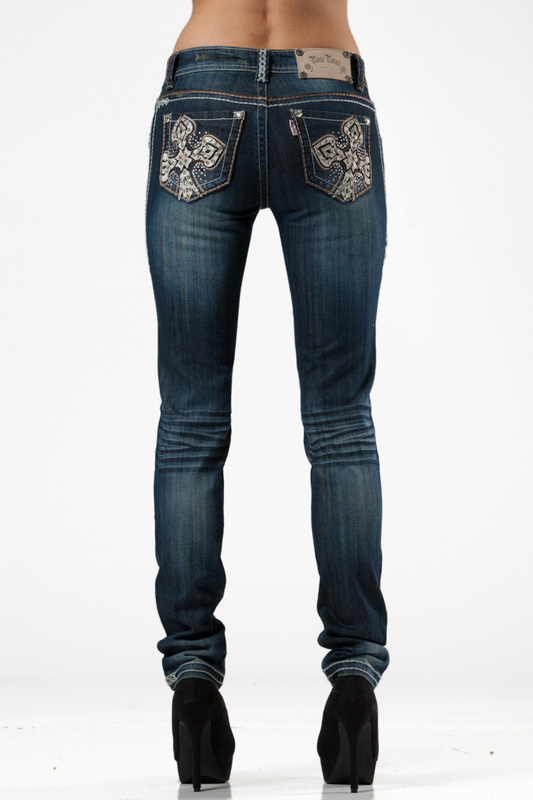 Stunning embellished skinny jeans that will look good in any wardrobe. 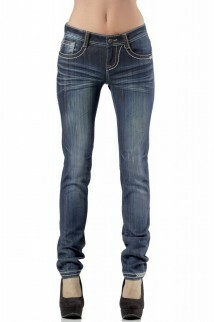 Sizes are in Australian sizes, so please select your regular jean size. Please check your waist measurement against the measurements below. 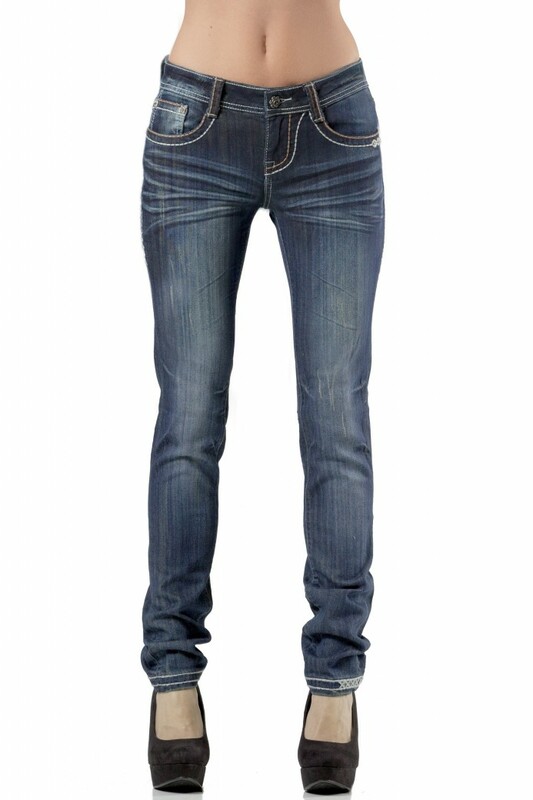 Waist is measured from side to side laying flat. 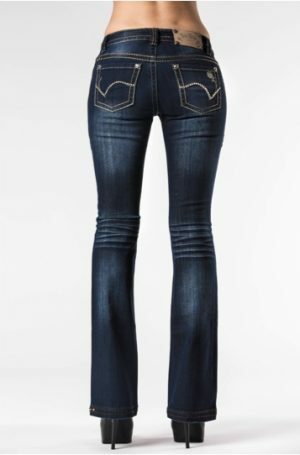 This style has smaller and larger fit sizes available.